We are taking a different approach with the preview for the massive Southern Section, breaking it up by divisions and breaking those divisions up by competitive "tiers" or projected levels of competitive ability. Here is a detailed look at the top boys teams in Division II. Claremont - The defending CIF and state champs have every reason to repeat here in 2018. This should be their 5th straight season of advancing to the State meet, with head coach Bill Reeves taking this program to the national level this past few seasons. Ryan Cowgill (4:14/9:33) and Aaron Reyes (4:26/9:26) return to lead one of the deeper squads in California. Transfer, Jacob Moran (4:17/9:40), adds to an already loaded squad. Along with Vicente Huerta (4:28/9:53), their top four all ran between 15:15 and 15:27 on the Riverside Championship course. Adam Trafecanty (4:35/9:40) is coming off a great track season while Reeves anticipates sophomore Jack Keough-Lansford (9:48) fighting for a top-five spot this season. Juniors Yoon Cho (4:29/9:44), Jaden Clark (4:31/9:31) and Michael Carpenter will all be in the varsity mix as well. 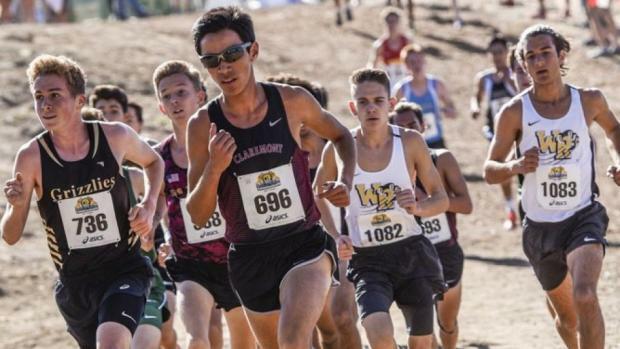 Claremont is one of the best in the nation. Their stock increased this past track season with 10 underclassmen breaking 4:37 and eight under 9:55. But they will have their hands full now that two solid programs have moved into the division but that push could very well earn them a bid up to Oregon in December. 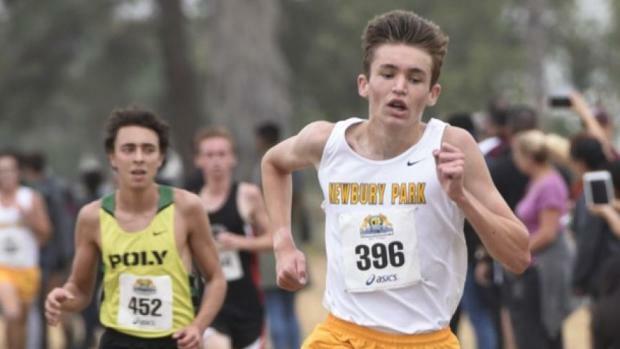 Newbury Park - In what should be an epic battle come November, Newbury Park will challenge Claremont every step of the way. Where the Panthers are favored up front, Claremont is loaded with endless depth. As their third scorer most of the season, Nico Young (4:23/9:05) exploded onto the state wide scene this past track season. They already return two of the fastest in the section from the 2017 postseason, but now adding Young transfer them into one of the most lethal trios in California. With Young being one of the top sophomores for the 3200 in the nation, Ethan Ronk (4:22) and Jace Aschbrenner (9:28) are as highly touted. They own the third and fourth fastest times in the division from last year's postseason, giving them the nod up front. Securing the depth will be the task at hand as Kyndall Long comes back from a 9:45 spring season. Nicholas Goldstein (9:45), Nathan Le and Connor Keep are coming off solid track seasons while Goldstein was one of the 3200 freshmen in the section. Head coach Sean Brosnan has done a great job developing the program into the national spotlight and is excited about how his boys are developing this past summer.